Nematodes are naturally occurring microscopic worms, already present in our soil. Beneficial nematodes attack and kill targeted garden pests. They are compatible with organic farming, easy to use and can even be kept in your fridge! BASF’s state of the art production facility in the UK produces billions of nematodes in a form that is easily applied by gardeners. Over 20,000 different species of nematodes have been classified, although some estimates put the total figure closer to one million! BASF has the largest specialist nematode production facility in the world, growing trillions of beneficial nematodes for use in their Nemasys range of pest control products. 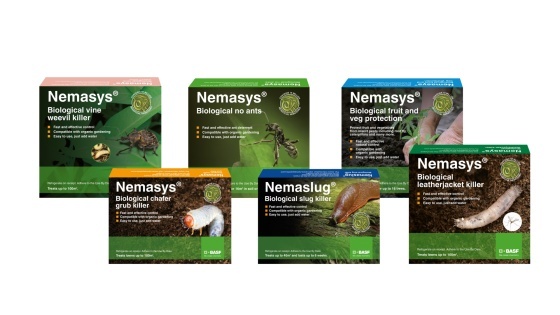 The nematodes in Nemaslug and the Nemasys range are naturally occurring microscopic worms, already present in our soil. Beneficial nematodes attack and kill targeted garden pests without the restrictions associated with chemical pesticides. How long do nematodes keep before use? When kept refrigerated, the contents of the pack will remain viable until the expiry date printed on the inner sleeve. This varies with the product so check with your supplier if necessary. Use the entire packet at once and apply the mixed solution immediately. Do not store stock solution. Mix the nematodes with water in a bucket to create a stock solution, according to the instructions found on the product sleeve. TIP: Empty one pack in a bucket and add a small volume of water to form a thick suspension. Stir and make sure all lumps are fully dispersed before adding more water. Immediately apply diluted suspensions of nematodes as per instructions, using appropriate equipment e.g. watering can fitted with a very coarse rose (1.4 mm diameter holes), garden hose applicator or pump sprayer. Note: A garden hose applicator is useful for treating a large area of soil or lawn, but unsuitable for some applications, for example against caterpillars or when treating vine weevil larvae in pots. Keep the nematode suspension agitated during application. Apply in wet and humid conditions and avoid applications in direct sunlight; evening applications are best. 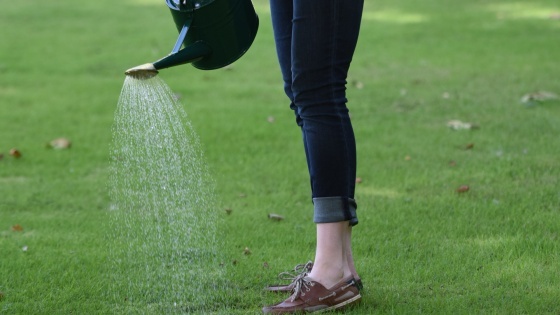 Ideally apply during rainfall or irrigate prior and after application (except for foliage sprays as nematodes should remain on wet canopy for at least 2 hours after application). For soil applications, the soil should be moist and remain moist for at least 2 weeks after application. You can't over apply nematodes but, if you have any left over after applying at the correct rate, treat adjacent beds and pots.